The southbound deck of the Highway 99 will be built, here, between two massive walls. This is the view looking north. Almost 400 Alhambra Source readers have answered our poll asking if they support the building of a tunnel to connect the 710 freeway in Alhambra to the 210 freeway in Pasadena. Around 83 percent of those who answered oppose the prospective tunnel, while around 16 percent support it. One respondent called the prospective tunnel "a hugely extravagant scheme to encourage more trucks to block up an already overused 210," while another wrote, "Cal Trans needs to pay more attention to the experts' facts relating to health, hazards and realize the detriment to all traffic and residents." On Sunday, the City of Alhambra put on their 4th annual 710 day, with carnival rides, food trucks and information booths to promote the building of the 710 tunnel. Mario Manzanilla, 60, who has lived in Alhambra for more than 20 years, called the tunnel "long overdue," saying, "We finally have a viable solution to completely the 710. If we continue this route [of doing nothing], it's going to get worse." Alhambra is part of a coalition of San Gabriel Valley cities that are pushing for the tunnel extension, along with Monterey Park, San Marino, Rosemead, and San Gabriel. Cities that oppose the extension include Sierra Madre, South Pasadena, La Canada Flintridge, Glendale, and Los Angeles. Officials have discussed extending the 710 freeway since 1959, according to a 2012 Metro report. 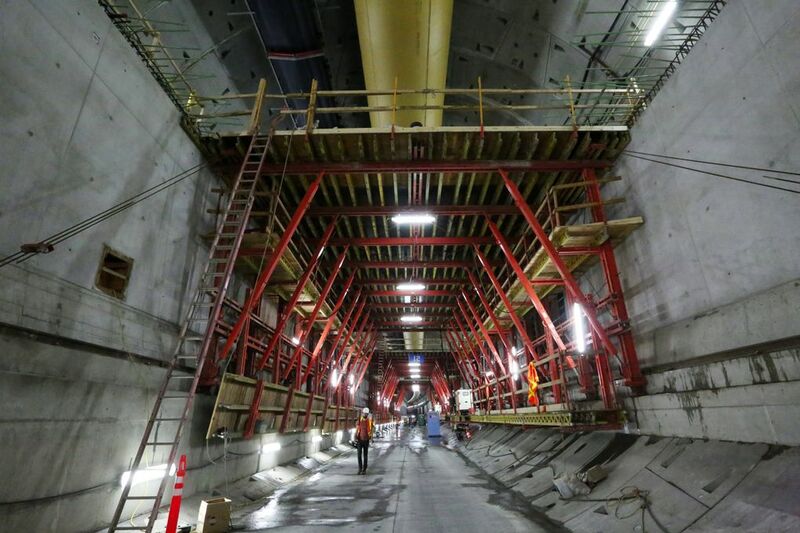 Caltrans and Metro have studied the idea of a tunnel to complete this extension since 2006, and published a draft environmental impact report last year that the public could comment on for a limited time. This somewhat long email will bring you up to date on recent developments. It is divided into four sections so that you can take your time reading each separately, and included are links to relevant documents and video. The SR710 Tunnel project is complicated, is tied to the proposed ballot Measure R2 and also related to actions being taken by our Cities and School Districts. We need to remain vigilant until we kill the tunnels!. At its Thursday, June 23rd meeting, the Metro Board of Directors is expected to consider whether to put a ballot measure before voters. A revised spending plan for a potential November sales tax ballot measure was released Friday by Metro and would accelerate more projects, allow more transit projects to become rail, include more overall projects and increase funding that goes to local cities and unincorporated areas for their own transportation improvements. The potential ballot measure — previously referred to as Measure R2 but now called the Los Angeles County Traffic Improvement Plan — would ask voters to consider a new half-cent sales tax in Los Angeles County and continuation of the existing Measure R half-cent sales tax in perpetuity or until voters decide to end the taxes. The idea is to create a sustained funding stream for mobility projects crucial to the region’s mobility, economy and quality of life. UPDATE: Measure R2 will appear on November ballot. Updated 6/23/16 At today’s Metro Board meeting, the Directors voted to place the ordinance on the ballot in November. Some of you may have read coverage touting the fact that the SR 710 tunnel alternative was NOT contained in the expenditure plan for Metro’s potential ballot measure, R2. Metro would use a balance of approximately $700 million from 2008 Measure R and a public private partnership (PPP) as the primary funding source for the $6 - $10 billion needed to build the SR 710 tunnel alternative should it emerge as the locally-preferred alternative when the Final EIR is released (expected in 2017). There is little doubt that this was a strategic move on the part of Metro to avoid risking passage of Measure R2 due to inclusion of the highly controversial and divisive tunnel alternative. However, last Fall, during the early stages of development of Metro’s potential ballot measure and expenditure plan, No 710 Action Committee member and attorney, Richard Helgeson, uncovered language in the proposed measure that would permit tax revenue collected from Measure R2 for projects, such as the SR 710 tunnel alternative, originally contained in 2008’s Measure R. From December through February, the No 710 Action Committee brought this to the attention of the Metro Board on multiple occasions and submitted a letter detailing this provision. During a meeting of No 710 Action Committee representatives with Metro CEO Phillip Washington, we discussed this issue further and it was suggested by the CEO’s staff that we submit specific language for the Measure R2 ordinance that would eliminate the loophole and preclude use of R2 funds for the SR 710 tunnel alternative. This language does not prevent the tunnels from being built. There is still the very real possibility that the tunnels will be named as the locally-referred alternative in the Final EIR. The inclusion of the language simply means that voters who wish to support Measure R2 and the worthwhile projects it contains can be confident that no revenue from that Measure will be used to fund the SR 710 tunnels. The Five Star Coalition is comprised of 5 school districts – Burbank, Glendale, La Canada Flintridge, Pasadena and South Pasadena. In March, the Pasadena Unified School District abstained from voting to approve a Five Star Coalition Joint Resolution opposing the tunnel. The Joint Resolution can be viewed here: http://pusd.granicus.com/MetaViewer.php?view_id=15&clip_id=592&meta_id=91404. The other four school districts in the coalition all voted in favor. Because the bylaws of the Coalition require unanimity, the Coalition was unable to use the proposed Joint Resolution as planned. Recently, the West Pasadena Residents Association submitted a letter requesting that the PUSD Board put the issue on their agenda again for further discussion and reconsideration. The Board agreed, and that meeting was held last Thursday, June 16th. The No 710 Action Committee and the WPRA worked very hard to bring speakers to the meeting. In all, we had 13 people there to address the Board, including: Dr. Ed Avol (USC Keck Environmental Health), Sarah Gavit (Pasadena resident and WPRA Board member), Kenyon Harbison (new president of WPRA), Claire Bogaard (No 710), Mic Hansen (No 710), Joe Cano (No 710), Andrew Blumenfeld (former president of LCF Governing Board), Jill Fosselman (Pasadena resident), Kendis Heffley (Westridge School), Jon Primuth (South Pasadena School Board), a PTA officer from Blair, Elena Phleger (Sequoyah School) and Jan SooHoo (No 710). Our group made very articulate and convincing statements that convinced 5 of 7 Board members to decide that they DO want to support the Joint Resolution. Their representative to the Coalition will notify the Five Star Coalition at its next meeting that PUSD is now on board. Perhaps it seems like a small step, but our cities can also use this Joint Resolution of School Districts representing over 70,000 students in their campaigns to stop the tunnel, and the adoption of the Joint Resolution aligns and solidifies the position of the School Districts with that of their cities. "The 5SC does hereby oppose any of the Tunnel Alternative variations: single-bore or dual-bore, toll or no toll, truck or no truck, express bus or no express bus, to extend the SR-710 freeway from Valley Boulevard in the City of Los Angeles to the 210 freeway in the City of Pasadena, and instead supports the development of a fiscally and environmentally responsible alternative." At the Pasadena City Council meeting on June 13th, no vote was taken, but in this case, it was a good thing. Several very positive things emerged. All members of the Council expressed their opposition to the tunnel. There is no longer any ambiguity about unanimity of Pasadena’s City Council in opposing the SR 710 tunnel alternative. There did seem to be some confusion and disagreement about the legal ramifications of Measure A. 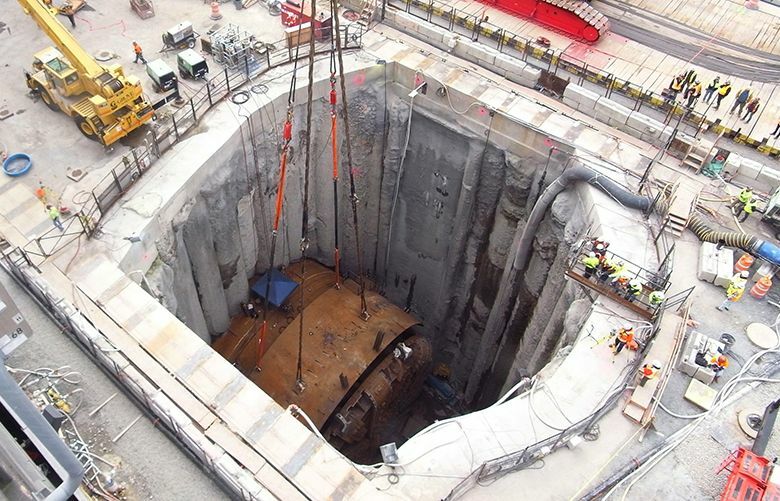 Some Councilmembers firmly believed that they are already free to do whatever it takes to fight the tunnel, but others feel their hands are still tied by Measure A. Because there are newer Councilmembers who are not as well versed on Measure A’s legal ramifications, and to clear up the ambiguities, they decided to hold consultations with their legal advisors before moving on this issue any further. The second issue discussed was the timing of a vote on the repeal and the need to carry out a public education campaign. Several Councilmembers thought that putting the repeal vote on the November ballot was too risky. Some thought that it would not leave sufficient time for public education and that people will be preoccupied with the Presidential race and would not give a down ballot item serious thought and consideration. After discussion about timing and costs, it was decided that it may be better to take the repeal to voters in March during their Municipal election, or even to hold a special election. They will continue to explore these options, and then bring the issue back at a future City Council meeting. The move to repeal Measure A, called Restore Our Rights, now has a Facebook page and a website where you can follow developments in this issue.